vaporizers | Faun Tech Inc.
Cannabis sativa, popularly known as marijuana, is a drug that has attracted its fair share of controversy. The controversy is based on the psychoactive effects, and a psychoactive drug can be described as a substance that can distort the nervous system and effectively alter your brain function. When the brain function is impaired, then there are various effects that prevail including impermanent changes of a person’s mood, behaviors, perception, and consciousness. Psychoactive effects are enhanced by the intrinsic components of marijuana and more especially the presence of tetrahydrocannabinol (THC). THC can cause euphoria and anxiety while an overdose has been said to cause hallucinations. 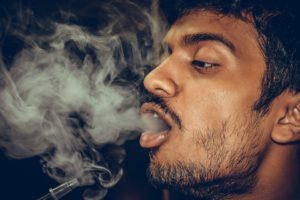 Vaporizers have been lauded as one of the most appropriate ways through which users can consume marijuana without jeopardizing their health. Vaporizers are designed to volatilize the herb rather than the conventional way of burning it. The burning temperature is above 460 degrees F but to volatilize marijuana you only need 266 degrees F. Most vapes release less proportions of tetrahydrocannabinol (THC) hence the said suitability for recreational consumers. Vaping has been acknowledged worldwide as a nonhazardous way of enjoying marijuana. The popularity of vapes has consequently led to the innovation of various types of vapes. For example, you can now find vapes that powered by batteries and some that adjustable temperatures. For heightened effects, many smokers are known to hold their breath when they inhale marijuana. This act is based on the understanding that the absorption rate of THC is improved with prolonged withholding of the smoke. However, it is also important to note that the longer you hold your breath, the more your lungs are likely to absorb the smoke that contains toxins like tar and carbon dioxide. Also known as bongs, these are apparatus that are known to cool and moisten the hot smoke of marijuana. Over time, most users have developed their homemade bongs, but you can also invest in those that are available in the market. The water is efficient in withholding toxins which are soluble in water, and these components could include considerable amounts of tar and hydrocarbons.